It’s been a rough year personally for me and one of the things that suffered the most was UBL. I didn’t attend as many concerts and found myself unable to muster the motivation to listen to new music on the regular. When it finally came to compiling a list of my favorite albums of the year, the task felt slightly overwhelming but after putting my nose to the grindstone, I feel like I’ve come up with a list that I’m pretty content with. Without further ado, here are my favorite albums of the year. 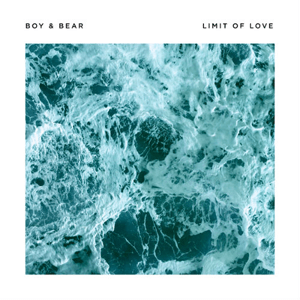 There were a lot of albums on this list that were highly anticipated for me but Boy & Bear’s latest release, Limit of Love, wasn’t even on my radar because I had no idea it was even coming out until about a week after it had. I know, shame on me for being a fan of a band and not knowing when new music is coming my way but it’s been a busy year. The Australian quintet of shed their previous folksy sound and replaced it with addictive beats that will have you hooked in no time. I may have been a little behind on this new release but better late than never. One of my favorite things about running a music blog is that I rarely have to go searching for good music any more. 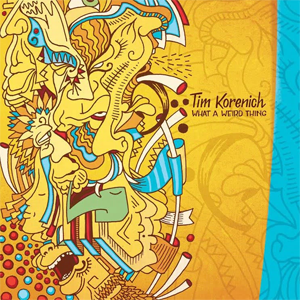 A friend sent this album my way to see if I was interested in doing a review and I instantly fell in love with the calming, retro musical stylings of Tim Korenich. What a Weird Thing came along at just the right time, offering me a set of songs that could melt all my worries and troubles away and just get lost in the music. I really can’t recommend this album enough, so take a minute and go check it out, this list isn’t going anywhere while you do. While I’ve been listening to Deerhunter for years now, I would have to say that I didn’t really love the band until this year. It started when “Neon Junkyard” from Monomania came on randomly and I found myself taking a moment for the first time to really listen to it. It caught me at just the right moment where that particular sound was exactly what I wanted to hear. 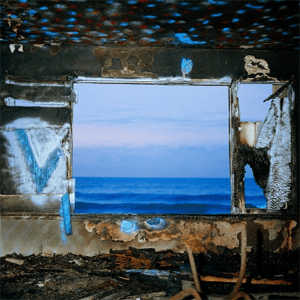 I listened to the album through a few times and continued to revisit the album periodically throughout the year as well as the rest of Deerhunter’s expansive discography. By the time the release date for Fading Frontier came, I found myself pretty excited to see what Bradford Cox and co. had in store for me. What I found was an album that managed to break through another period of not really wanting to listen to anything but the old favorites and become an album I’ve turned to regularly since it’s release to gain some comfort from. 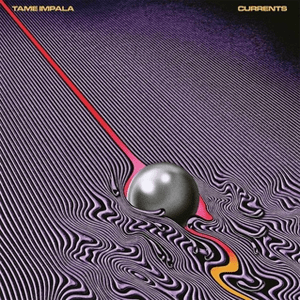 If you had told me at the beginning of 2015 that a Tame Impala album would make my end of year list, I’m not sure I would have believed you. I’ve always been a casual listener of the Australian quintet but I honestly don’t think I’ve listened to one of their albums from front to back in one sitting. I decided to check Currents out after there was so much buzz around it and I honestly couldn’t stop. I knew this album was going to be different as soon as the half disco half psych sounds of opening track, “Let It Happen,” hit my ears. By the time I the last notes of “New Person, Same Old Mistakes” dissipated, I found myself unable to resist the urge to hit repeat and relive Currents again and again. The album was a true eye opener for me and now I find myself wanting to set aside time to give all their albums another spin. Here’s another band that I could just never get into as much as others seem to. I’ve always enjoyed Foals but it was never something that I just had to hear at any moment that I can think of. 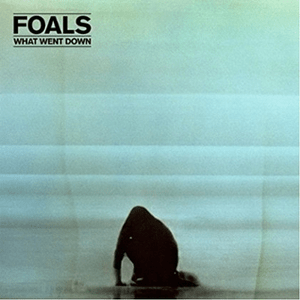 Foals waste no time hooking you from the very second the title track kicks off the album. It’s a raging rock song that just doesn’t quit, pulling you down the rabbit hole of Yannis Philippakis’ mind. It was actually hearing “Mountain At My Gates” on the radio that sparked my interest in the album. I remember the moment exactly as I was running some errands in my car and found myself unable to stop bouncing along to the infectious beats. I went home and immediately threw the album on, not coming up for air until it finished coming through my headphones. I was hooked. I’ve been a Cage the Elephant fan since the moment I first heard “In One Ear” announce the band’s arrival to the mainstream back in 2008. Seeing them play live this year took Cage the Elephant from a band that I listened to semi-frequently to a band I can’t seem to get enough of. Their newest album, Tell Me I’m Pretty, just came out a couple of weeks ago but I knew there was no way it wouldn’t be included on this list as soon as I heard it. 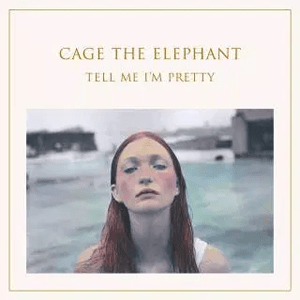 Dan Auerbach (The Black Keys) produced the album and it’s apparent from the first notes of album opener, “Cry Baby.” Vocalist Matt Shultz has replaced his frantic keening with a softer, more classic rock intonation but Cage the Elephant’s signature sound is still in tact. It’s hard to say what my most anticipated album was this year but it’s safe to say that the new release from JR JR was pretty high on the list. The Detroit duo was catapulted to one of my favorite bands after I fell in love with their sophomore release, The Speed of Things. The band may have altered their name but nothing else has changed. 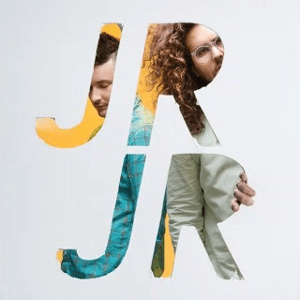 JR JR still release infectious pop tracks that will have you up and dancing no matter where you are. While it was a personally a rough year, JR JR’s music was able to brighten even the darkest days. I challenge you to put the album on and not immediately feel lighter as soon as the barking synths of album opener, “As Time Goes,” start coming out of your speakers. This album took a few listens to grow on me, but now it’s starting to edge out The Speed of Things as my favorite JR JR album. 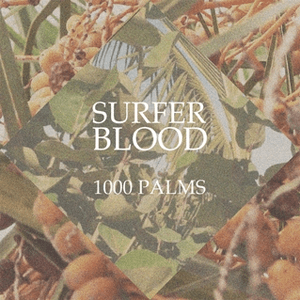 Surfer Blood is another band that I had only been a casual listener of until this year. I gave the album a passive listen while at work after it first came out and I remember enjoying a few songs but there was nothing that really made me want to go back and give 1000 Palms a proper listen. It wasn’t until a few weeks later when I was out shopping for some new movies that I heard it playing in the store and found myself trying to remember who it was so that I could go home and listen to it. I remembered after a few minutes, checked out and pulled the album up on my phone so I could give it a listen on the way home and never looked back. I’ve found myself drawn more to garage and psych rock these days so 1000 Palms came at just the right time for me to fall head over heels in love with it. It’s surprisingly upbeat sounding though still has a nice low key vibe that I’ve used to help me focus and relax when I’m in desperate need to do so. I find it impossible to hear just one track off the album. Even now as I’m coming to the end of this write up, I can’t seem to make myself stop it so that I can keep moving along with this list. I wasn’t even aware that The Wolrd is a Beautiful Place and I am No Longer Afraid to Die was releasing their sophomore album until I heard “January 10th, 2014.” I did some research and found that the song is actually about Diana, the Hunter of Bus Drivers, an anonymous folk hero who killed two factory bus drivers in retaliation for sexual assaults in Mexico which just served to further my love of the track. Suddenly my anticipation for an album I hadn’t know was coming out was almost unbearable. Harmlessness finally released and I set aside some time to take a listen and became fascinated with the album. Harmlessness is a beautifully grandiose album that showcases emo at its best. 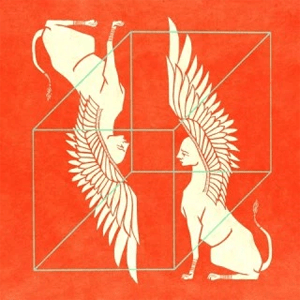 Saintseneca’s 2014 release, Dark Arc, just missed out on making my favorite album list last year and as I listen to their newest album, Such Things, I wonder how that can be possible. The fact that Such Things would make the cut this year was pretty clear from the opening line of the title track, “I defy the stars above to bash our milky heads in.” The album is probably the most upbeat and vibrant reflection on the meaning of existence that you might ever hear. The opulent music soars brightly under Zac Little’s lyrics that make his reflections about the world around him quite palpable. What really makes this album stand out is that Little excels at wrapping existential ideas and musings into catchy little pop songs that will have you happily bouncing along to the beat. We’ve been trying to bring Tunde Olaniran to your attention for almost as long as we’ve existed. Olaniran is a true performer and puts on an unforgettable live show that you should witness if you get the chance to. No surprise then that I was pretty excited for his first full length LP. 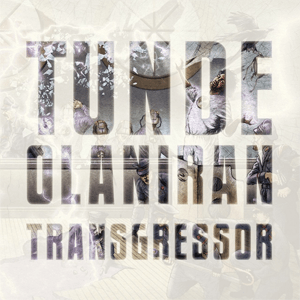 I actually put off listening to the album when it first dropped because I felt that I didn’t have the time to dedicate to truly listen to Transgressor. It’s not an album that you should passively listen to the first or even tenth time through. It wasn’t until I heard my husband listening to it non-stop that I said enough is enough and put it on. I was only disappointed that I didn’t listen to it sooner. From front to back the album is a solid showing of what Olaniran is capable of. I find it hard to pick a favorite track because there are so many amazing ones. It’s impossible to resist the urge to drop everything you’re doing dance to “KYBM” when it comes on. And I can’t seem to listen to “Let Me Go” just once, I need to hit repeat numerous times before moving on with the album. If you put this album on and don’t fall in love than I seriously doubt your ability to appreciate great music. 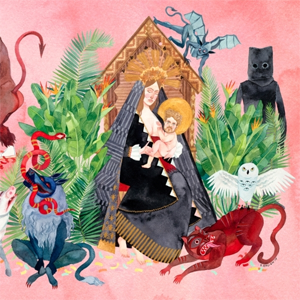 Father John Misty’s (aka J Tillman) I Love You, Honeybear was the first album that I became obsessed with in 2015. I listened to it around the same time that I began to neglect UBL, struggling several times to review the album but coming up short every time. I just couldn’t find the words to sum up the way I felt about the album and even now find it hard to pinpoint exactly what about it hooked me. Maybe it’s the sweeping instrumentals or perhaps the affecting vocals that you can’t help but swoon over. Most likely, it’s the self-deprecating and often amusing lyrics crafted by Tillman about modern American love and society in general. All in all it’s the album’s honestly and wit that keeps you revisiting the album again and again. Sufjan Stevens’ music has always been able to give me all the feels. Over the years, Stevens has used vast soundscapes to do so which makes it easy to get swept up in the music rather than listening to the sometimes rather sad lyrics. On the singer / songwriter’s newest album, Carrie & Lowell, he’s stripped all that away to allow his lyrics to stand front and center, often emotionally raw and heartbreakingly honest. 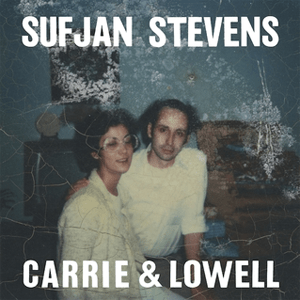 The title of the album represents Stevens’ parents; Carrie, a mother who was never really there and Lowell, a loving step-father. Carrie & Lowell navigates through the feelings that Stevens has toward the pair. You can feel the sense of longing and loss for Carrie, who died in 2015, as if it was your own before the gratitude for Lowell wells up inside of you making you almost admire this person who you’ve never met. It’s not an album that you can passively listen to nor should you attempt to. Instead, throw some headphones on and just embrace all the feels. Like the band that holds the number one position on this list, it’s been a long four years since their the last release. 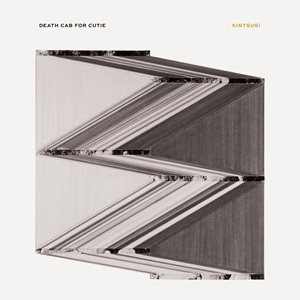 Unlike the number one spot on this list, I found Death Cab for Cutie’s last album a bit disappointing. It’s not to say that I didn’t enjoy the album, it just didn’t have as much staying power as previous releases. This is why I was just as worried as I was excited for the band’s newest release this year. It wasn’t until I heard lead single, “Black Sun,” played on the radio that the anxiety disappeared and i was left only feeling excitement for the album to come. Kintsugi is definitely sparser than anything the band has released up until now, I feel like it’s just as strong musically and lyrically. Kintsugi hits its stride on the album opener “No Room in Frame” and stays strong until the last note of “Binary Sea.” I’m excited once again for what’s next for Death Cab and feel that the album is a nice send off to Chris Walla. I’ve been a Decemberists fan for a long time but I would say that they didn’t become a staple in my favorite bands until the last year or two. It’s no surprise that What a Terrible World, What a Beautiful World was one of the albums I anticipated most this year. I always have a bit of anxiety about a new album being released by a favorite band but, honestly, in this case I wasn’t. 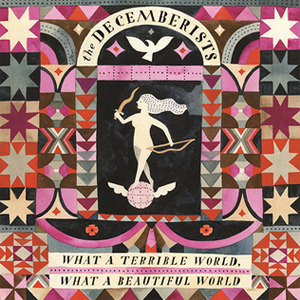 I read some complaints about fans not being happy with the newer Decemberists’ sound, but personally I love it all. What a Terrible World, What a Beautiful World is a wonderful mix of the old, whimsical Decemberists mixed with the more folksy, sparse sound of The King is Dead. The album is filled with strong songs and I struggle to find one that I needed to allow to grow on me. Like my favorite performances of the year, this list was hard to compose and rank but What a Terrible World, What a Beautiful World was always going to take the top spot.